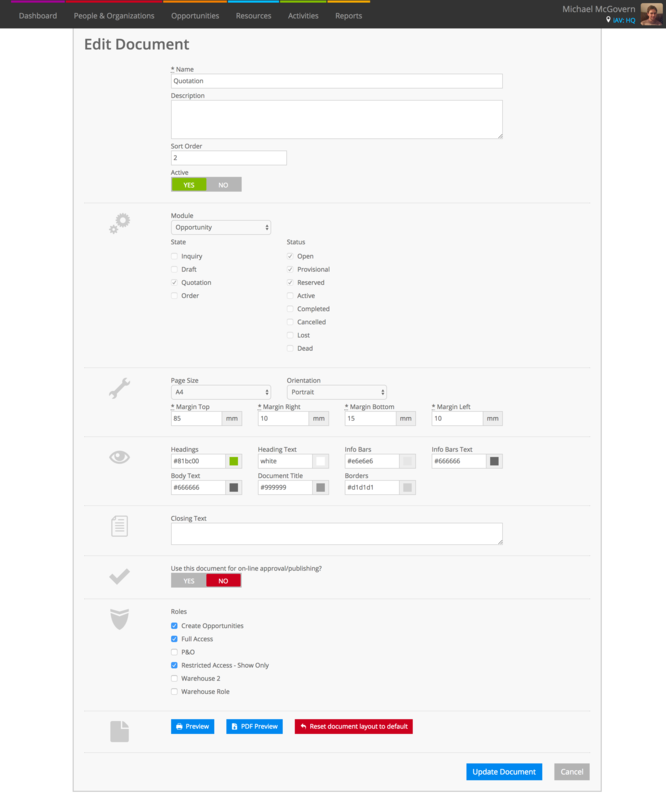 All of the document layouts that come with Current RMS are customizable, meaning that you can make your quotations, invoices, delivery notes, and other documents reflect your company branding and identity. Go to System Setup > Document Layouts, find a layout you’d like to change, then choose Edit from the menu to the right. Depending on the document, you’ll have a bunch of options to change. Enter any notes here. These are for your reference. Don’t need this layout? Toggle to NO and this document won’t appear as an option available to print. You can’t change these options on our default documents. Clone any of our documents or create new ones to change these. Where should this document appear? A document can appear against one module. The module you choose may determine the Liquid objects available to you. Depending on the module, you can choose the type of data or opportunity state where the document should appear. You can select more than one option here. If the type of data you selected has different statuses, you can choose which the document appears for here. For example, only paid invoices or active orders. You can select more than one option. A4, Letter, or custom size. You can specify the height and width in mm if you choose custom – perfect for labels. When using A4 or Letter, choose the page orientation. Set the margins of the page here. Header content appears above the margin top; footer content appears below the margin bottom. Some documents have color attributes that you can change. Pick colors here. Use the blue Preview button at the top to see how your changes look. 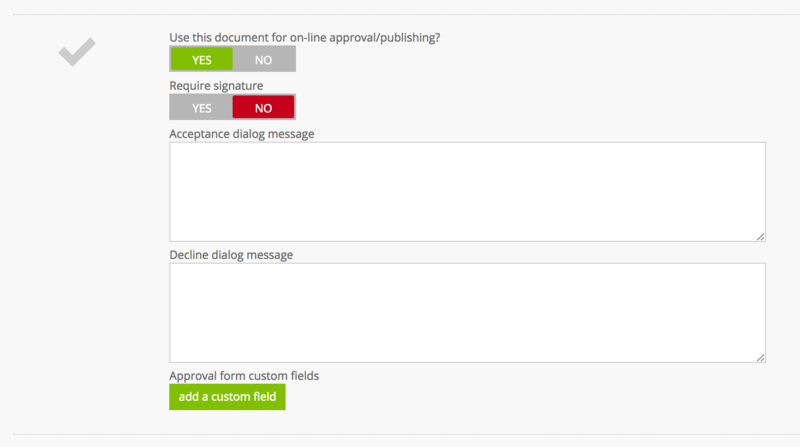 If you’re working with an opportunity document, toggle Use this document for online approval/publishing? to YES turn on document approval. You might like to restrict your document so that only certain users can access it. Choose roles that can access the document here. See how the document looks with your changes in a new tab or window. See how the document looks with your changes when printed to PDF. Undo all customization and reset the document back to its default state. Why can’t I see my company contact information on my documents? On most documents, contact information is pulled from your store. Head to System Setup > Stores and edit all of your stores. Add your address and contact information here. How do I add my ABN, company number, or tax number to my invoices? Make sure this information is set in System Setup > Company Information and it should automatically pull through to your document layouts. How do I make advanced changes?